In modern software processes, prioritization is at the core of what we do. Of human effort, which is disrespectful. If you’re wasting one of them, you’re probably wasting all of them. Prioritizing is variously simple, complicated, demanding, exhausting, and strangely emotional. In this series, we introduce some tools and strategies that can help you successfully navigate prioritization on your product, at every level and every phase of product definition and development. When you get an idea for a product, it’s natural to want to build everything. This makes it hard to figure out where to start and stop building. Some founders fear that if their product doesn’t match their vision, they won’t be successful. But you can’t–and you shouldn’t–build everything at once. So how do you decide where to start? 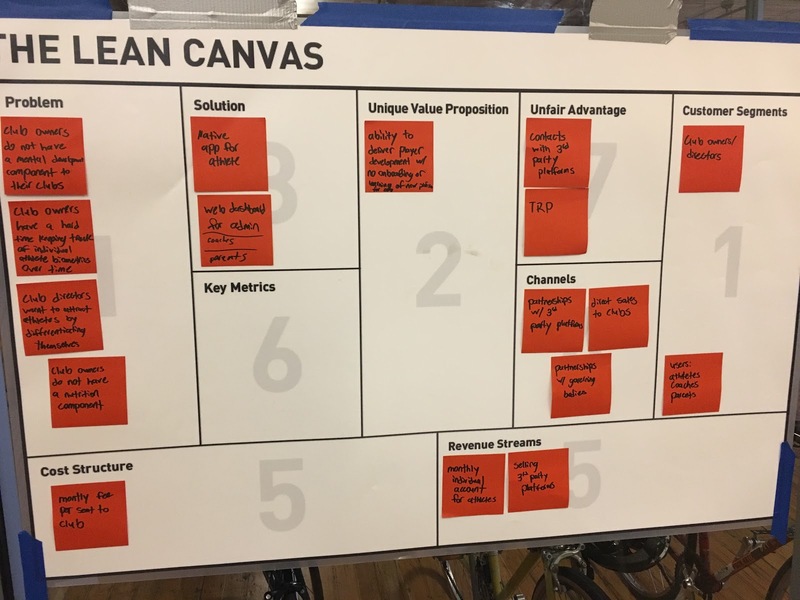 Well, meet the Lean Canvas. You may have used this tool to create a business model, but it can also be deployed along with a milestone plan specifically to drive prioritization. This company faced a very specific challenge. They had an existing product with paying customers. They knew the product was not up to snuff technically, but it was so feature rich that they could not rebuild it economically. 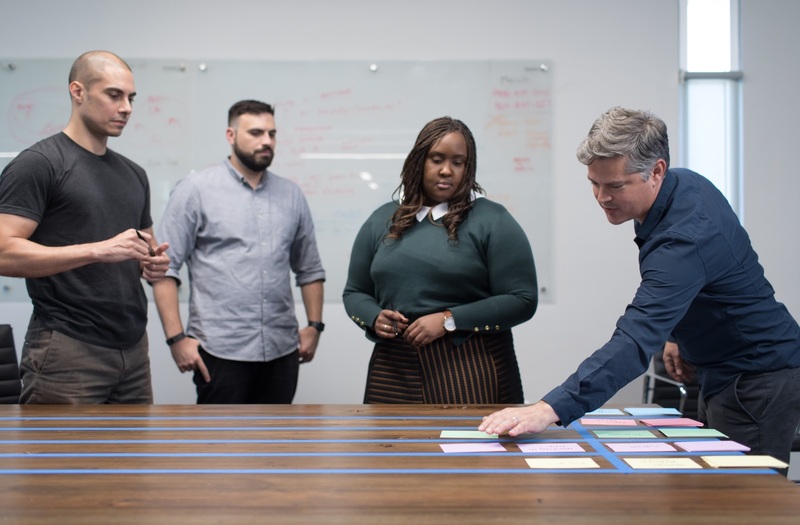 They knew that they needed to scope down the current product, so they were looking at the business model to see what combinations of features could give them the best bang for their buck. We decided to run a Lean Canvas workshop to better understand the current state of business. To successfully complete the activity, it is important to make sure you know why you’re even building your product in the first place. Before you start facilitating this activity, make sure to bring a rough problem statement into the room. This can change at any time throughout the process but it will help you in the last step as a way to gut check the solution you pick. I started this series of workshops by providing the first chunk of a problem statement. We have observed that [product/service/organization] isn’t meeting [these goals/needs]. Kick off your Brainstorming activity by presenting this problem statement to the room and maybe making some tweaks based on feedback. Once everyone has come up with their ideas, spread your cards/stickies out on the table. You should end up with something that looks like this. See, so many high level ideas! Once you have all of the ideas, group them into buckets of similar concepts. You then need to reduce your pile to the ones that have the most potential. It’s up to your team to figure out how to define “potential.” This might be a good time to check back in with your company strategy. You could stack rank your ideas, or use a 2×2 to prioritize them. Keep in mind it takes around an hour to get through a Lean Canvas for each idea, so if you have 5 ideas this can turn into a full day workshop. Materials: a Large ( 18 by 24 ) Lean Canvas printout or a whiteboard. Snacks and Drinks. A note here: Ash Maurya, who invented the Lean Canvas, says you should be able to complete each idea in 20 minutes. That is a fantastic goal, but we have never seen a client team get through a Lean Canvas in under an hour and that’s completely okay! Make sure everyone’s point of view is heard for every single section. This can sometimes be the hardest part of the exercise. If, as the facilitator, you feel that one voice is dominating the conversation, try having everyone take a stab at the section you’re working on. Then have them each share their thoughts and discuss. How well does this solution solve its problem? It always seems exciting when one of your canvases solves many problems and maybe that is the right case for you. But be sure to consider breadth vs depth. Does your product really have an unfair advantage? Frequently, I hear unfair advantages like “We have certain employee”. While that very well might be your unfair advantage, what is going to stop your competitor from hiring them? Do you have strong key metrics? In the example above, we could not find key metrics that actually fit well within our concept. This probably means your idea has some holes. If you can’t measure success, how are you supposed to be successful? It’s important after this step in the process to take a little time to figure out what ideas are worth exploring more. You might at this point bring some other stakeholders into the room and walk them through the Lean Canvas, get feedback, and make some edits. It’s important to have these airtight before the next step. Materials: post-its, sharpies, masking/painters tape, 1 big table. Great, now that you have stakeholder buy-in and strong concepts for your Lean Canvases you can start to figure out what features each idea might have compared to the others and what order they should be built in. The goal of this part of the exercise is to see how each product idea can be executed, give you a rough roadmap, and see what features differ from idea to idea. I find it helpful at this point to digitize these Milestone Maps so you can reference them easily. The hardest part of the whole set of activities. 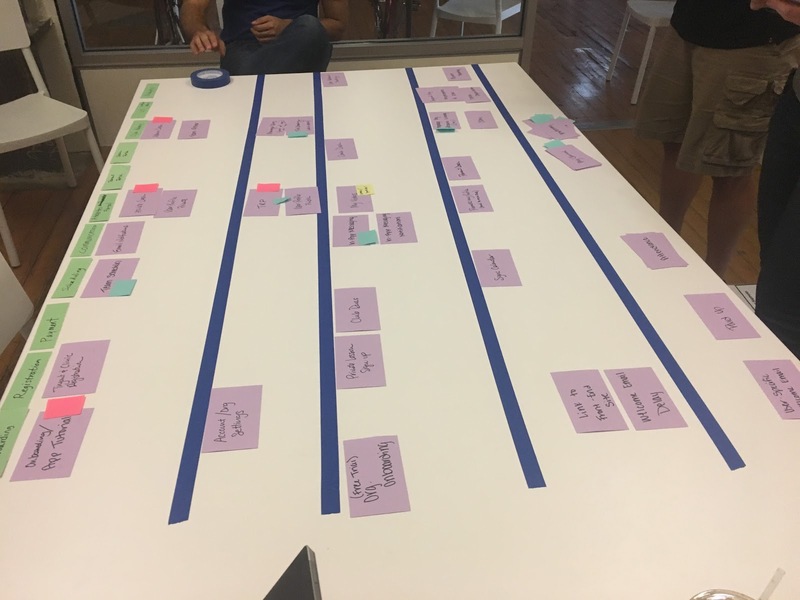 Once you have your Lean Canvas and Milestone Map, you are equipped with details about your product like what the goals are, who it’s for, how to tell if it’s successful, which epics are in the product, and a high-level order of how you will build them. You now have more than enough information to make a well-vetted product. Getting people to agree could be very challenging. Let’s face it, you’ve spent many painstaking hours creating all of these options. People are going to be emotionally invested in these ideas. But remember, you have your problem statement to look back on. Your solution ( Lean Canvas ) and your plan to build it ( Milestone Map ) should be able to achieve this goal. You might be thinking that this seems like a really long way to prioritize something. You are correct – this is a very labor intensive set of activities. These activities won’t help you prioritize on a story by story basis but they will help you prioritize high-level product ideas and choices. 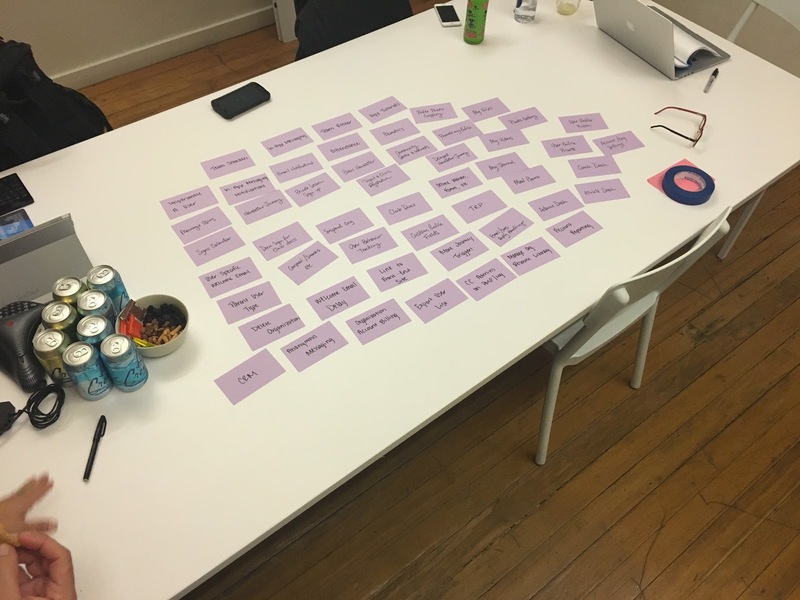 You can use this activity to prioritize the second product your startup will build, how you might pivot your startup, or what products you should build for new user types, markets, and verticles.